You hear the term “Big Data” a lot these days. It seems to be the answer to almost any question that arises. • How can we predict what our customers will want to buy in six months? • How can I predict the next financial downturn? • Where in the US am I most likely to catch the flu? The answers to all of these questions can be found in the analysis of Big Data, or so we’re told. 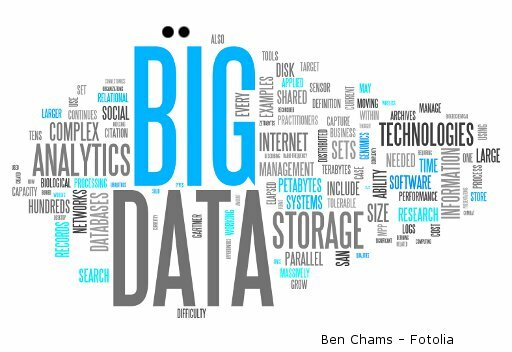 Big Data refers to the collection and analysis of enormous data sets to spot trends and predict outcomes. Some see Big Data and the predictive analytics they facilitate as the next wave of ultra-targeted marketing. Others see it as the latest example of a wretched privacy invasion and another nail in the coffin of self-determinism. Probably it’s a little of both, a candy and a breath mint. If you are concerned about privacy, let me ask you this: Do you have on your key ring one of those little plastic “rewards” cards your grocery or drug store gave you? Is the occasional buck in savings worth letting them track everything you buy in a year and do who-knows-what with the information? Just askin’. But for the sheer scale of Big Data, it would hardly be a new idea. The Direct Mail business traditionally relied on collecting and analyzing data about potential customers. The theory was that if you had a list of people who had purchased one thing, they might be more likely than not to purchase a different thing. In Calvin Trillin’s amusing novel “Tepper Isn’t Going Out,” direct mailer Murray Tepper considers which mailing lists will yield the best sales for a certain product. Murray was cross-referencing one list with another. You could say that Murray was also engaging in predictive analytics, but he was using the Big Data of his day…today, we might call it “Little Data.” If you knew that people on your list who had purchased gambling equipment were twice as likely to purchase electric carving knives, well now – that’s data! What else might these dicers and slicers buy? The fun was in the finding out. And it still is, whether you are using a whole server farm or the back of an envelope. Like everyone else in my generation, I used to rely on a quaint device known as a Rolodex to organize and store my business contacts. (My personal contacts were in my address book, which was an actual book, not an icon on my desktop.) I felt like I had really made it when I had to buy a second Rolodex to split up my contacts: “A” through “M” in one, ”N ” through…well, you know. In fact, what I really had done was collect a whole lot of business cards from people I was never going to call or see again. Ever. If the contact was a reporter, there would also be notations about story ideas previously pitched. This was “micro data.” If he wanted to pitch a story to a given reporter, he would first be able to ask after the wife and kiddies, get their names and ages right and suggest getting together soon for a favorite libation – preferably near Grand Central and the train to Larchmont, and by the way, how about those Wolverines! It was amazing how well that worked – it turns out that reporters are people, too, and just as susceptible to flattery and a kind word as the rest of us. This guy was a media relations machine. Time and again, I saw him make front-page stories appear – or sometimes disappear – through the depth and strength of his relationships with reporters. Personally, I am looking forward to better understanding what Big Data can do for us, and more than a little afraid of what it might do to us. But let’s not forget how powerful Micro Data can be.